Looking for delicious, practical and affordable snacks? Certainly a trend that is growing rapidly especially among young people. For you who living in Jakarta, maybe most of you are certainly familiar with this brand. 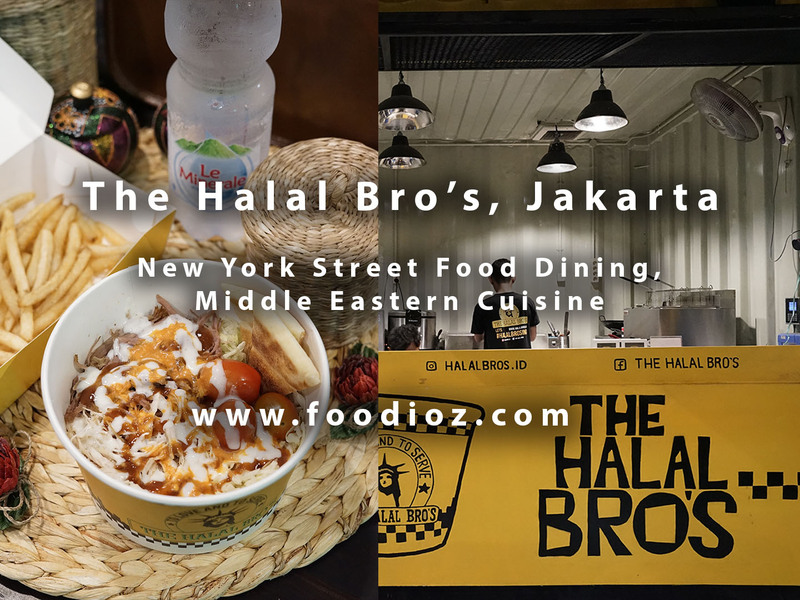 The Halal Bro's has enough pages to operate in Jakarta with modern New York street food concept serve Middle Eastern cuisine twist that has a distinctive taste. 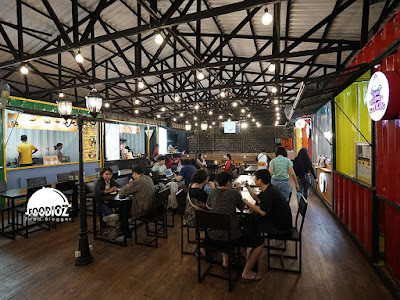 Currently they have just opened a new branch in the area of Sawah Besar with a new modern food court area that has the concept of colorful container pile with 2 levels. Boxx In is a new area in Jakarta that carries the concept of food court container while trending this time. Visible at night, it looks crowded visitors around while enjoy a variety of tenants are many choices here. 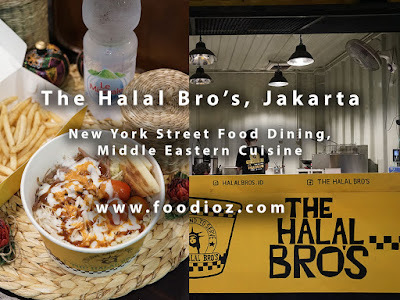 The Halal Bro's one of them. 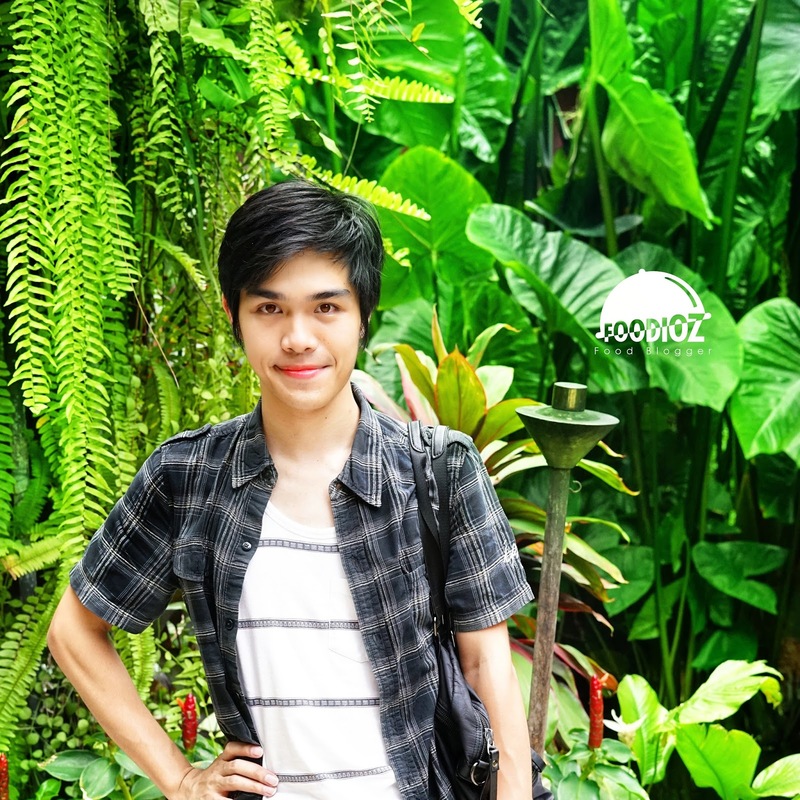 With the concept of yellow color that becomes characteristic with a large enough container and look neat. My arrival this time want to try the new menu is the Wrap kebab. 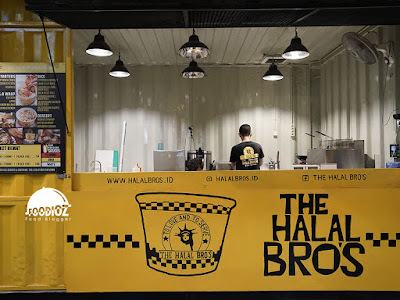 Previously i had visited The Halal Bro's several times in other branches, but this is the first time i tried their Wrap menu. 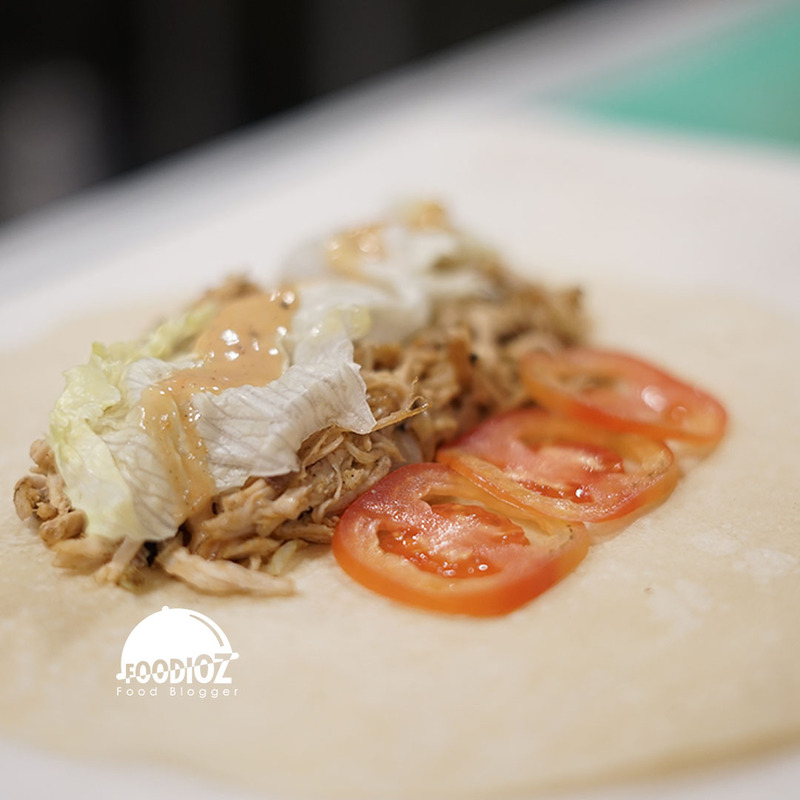 Consists of Wrap chicken, lamb, mix chicken & lamb also vegetarian chicken. 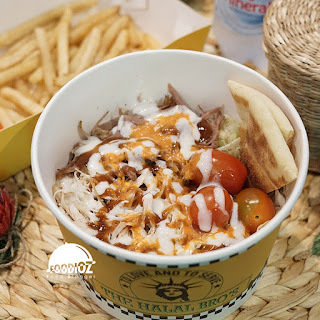 As my experience previously, they present a very tasty lamb and true my choice, wrap with the shredded of lamb has a super tasty flavor. The texture of the meat is tender and odorless with a little spicy touch that shakes the tongue. In addition to the lamb wrap, the menu that makes me memorable is the Vegetarian Chicken Bowl. For vegetarians, this menu would be the right choice. Rice basmati is thick orange with a solid texture and distinctive aroma. Combined with some vegetarian chicken with round shape, dark brown color and it is made of nuts so it has a dense texture and crisp when bitten. The distinctive aroma of spices made me quite impressed with the flavor. Do not forget the rice bowl complete with vegetables, pita bread and baby tomato are fresh. In addition to the vegetarian menu of course available various other rice bowl with a choice of chicken meat, lamb and duck. 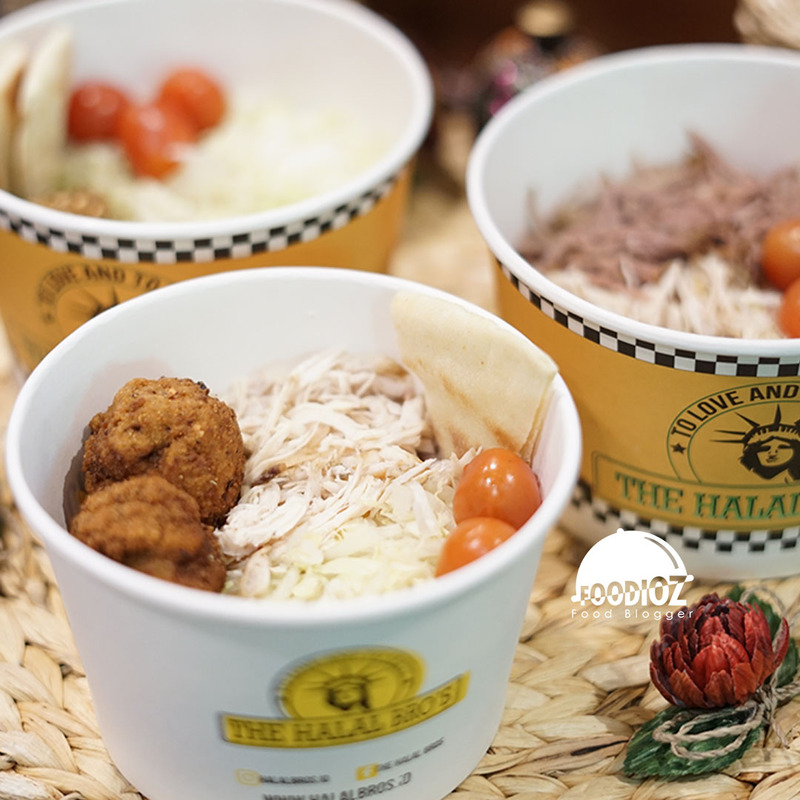 Visitors can choose rice bowl with two sizes which are regular around Rp 50,000 and junior bowl Rp 33,000. For regular portions are quite large for one person, a lot of basmati rice and meat are alot. Compared to the outdoor food court that I've been to, the Boxx In area is convenient. Cool night air makes this place not hot even crowded visitors. Visiting here with family or friends will certainly be a fun moment while enjoying a rice bowl kosher, delicious and a standard price. 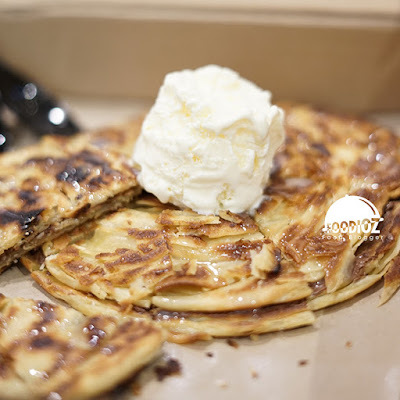 Do not forget to taste dessert Monster Wrap, pita bread served with various filling like nuttela, peanuts and served with a cool vanilla ice cream on it.